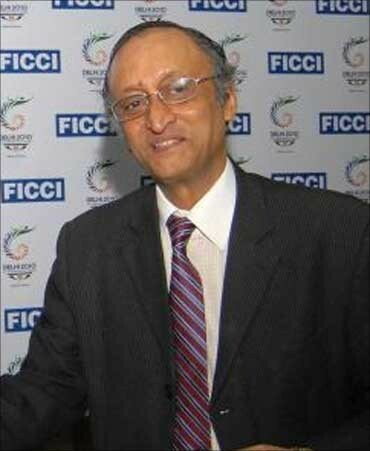 It's a little less than six months after Federation of Indian Chambers of Commerce and Industry's former secretary-general Amit Mitra took over as the finance minister of West Bengal. 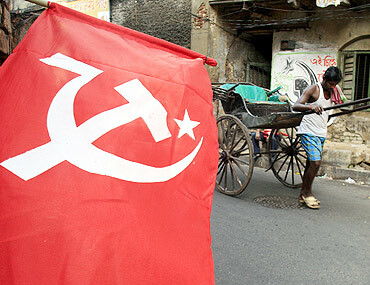 Of late, he has got into a war of words with his predecessor, Asim Dasgupta, over nuances of the budget documents. 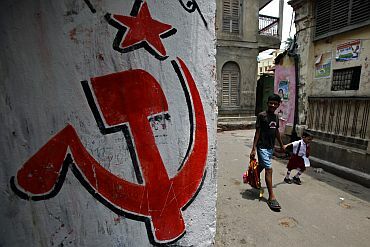 In a telephonic conversation, Mitra explains to Business Standard how the state is reeling under a huge debt, a 'legacy' of the Left government. Asim Dasgupta claims that (chief minister) Mamata Banerjee has presented misleading data to the Centre for garnering more funds. According to him, the state is left with 26 per cent of total revenues as development fund, and not six per cent as represented by Banerjee at the National Development Council meeting. The data Banerjee presented is absolutely correct. b) grant for central plans and schemes and c) grant for centrally-sponsored schemes. Now, the problem is, these three grants cannot be used for payment of salaries, pension, interest and repayment of debt. After deducting them, from the total revenue, the state is left with Rs 59,462 crore (Rs 594.62 billion). Now, if we divide the total expenditure of the state in these, (pension, salaries, interest and repayment), which is Rs 56,031 crore (Rs 560.31 billion), with the total revenue (Rs 59,462 crore or Rs 594.62 billion), and multiply by 100, the ratio which come is 94.23 per cent. Thus, the state is left with six per cent of the revenue for other expenditures. I will also give the break-up of some of the grants given by the Centre. The non-plan grant of 14th Finance Commission is Rs 2,254 crore (Rs 22.54 billion). This cannot be transferred to local bodies. So, we cannot use that for giving salaries, pension or interest repayment. The second grant is a Rs 240-crore (Rs 2.4 billion) government of India scheme for centrally-planned projects. This is also a pass-through; it cannot be used for committed expenditure. The third is grant for centrally-sponsored planned scheme; again, it's obviously a pass-through. How urgent are the central government funds for the state government? For, if you don't pay pension, it will be a massive problem. How can you deny anyone pension? 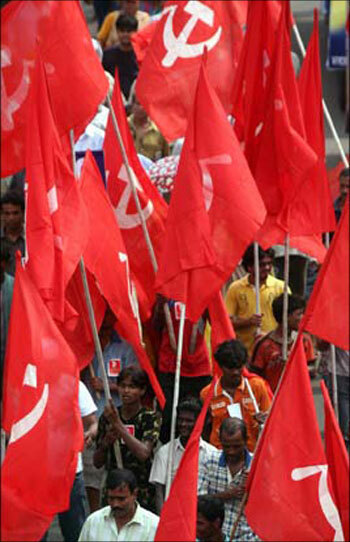 When can West Bengal expect funds from the central government? The CM had earlier written to Prime Minister Manmohan Singh for funds. Subsequently, after a long discussion, (Union finance minister) Pranab Mukherjee had written back that some amount can be borrowed above the FRBM (fiscal responsibility and budget management) limit. The Left Front government never followed the FRBM Act, while all other states -- except Sikkim -- had passed it. This is the cause of a huge build-up of debt. The debt of Rs 1.92 lakh crore (Rs 1.92 trillion) was built up partly because the state government had no restraint on borrowing. The earlier regime was allowed to borrow any amount it wanted -- till July 2010. They were borrowing at a massive rate, for whatever political objectives. Now the problem is a huge build-up of interest. That needs to be paid. So what Pranab Mukherjee said was that in addition to the FRBM limit, the state could borrow Rs 2,706 crore (Rs 27.06 billion). Our FRBM limit is Rs 17,028 crore (Rs 170.28 billion). However, the problem in borrowing more that the limit is that we have to pay interest on that. The only other resource that the central government had offered that time was backward region grant fund. One cannot use this fund for interest, repayment, salaries or pension. They had offered us Rs 8,750 crore (Rs 87.5 billion), which was a grant for backward district. So how is the state going to pay salaries for the next few months? I am not going to answer that question. We will find ways of doing so, I am confident. Please remember that the earlier finance minister had stopped payment of bills in November last year. Of the Rs 17,828 crore (Rs 178.28 billion) that we can borrow, he (Dasgupta) had borrowed Rs 5,213 crore (Rs 52.13 billion) in one-and-a-half months. Then he left, with uncleared bills of Rs 3,000 crore (Rs 30 billion). So, if you take that in consideration, he had borrowed Rs 8,213 crore (Rs 82.13 billion). So now, the state is left to borrow just Rs 9,616 crore (Rs 96.16 billion) over 10 months. It comes to only Rs 961 crore (Rs 9.61 billion) a month. In contrast, if you look at the earlier government, by borrowing Rs 5,213 crore (Rs 52.13 billion) in one month and 20 days, their average comes at Rs 2,600 crore (Rs 26 billion) a month. 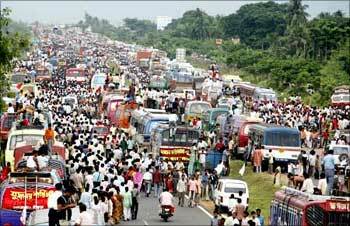 Image: Left Front supporters block a national highway in support of the Tata car project at Singur village. Dasgupta had been saying that the huge debt of the state is on account of small savings schemes of the government, and its burden should be shared with the central government. My question is this: who built up small savings? That debt of Rs 1.92 lakh crore (Rs 1.92 trillion) also includes small savings. Why didn't he (Dasgupta) do anything to reduce the burden of small savings? In fact, there is no written document that shows he sought to restructure small savings. Is the present government doing anything to restructure debt from small savings? What the chief minister had asked for was liquidity infusion grant. We have an outgo of Rs 21,000 crore (Rs 210 billion) on interest payment and repayment. One cannot have a moratorium on interest payment or repayment to small savers. The only thing you can do is to get a grant from the Centre, so that once the finances are better, the state can manage this aspect on their own. The huge debt he (Dasgupta) left on the government because, he never passed the FRBM Act and merely borrowed and borrowed. No other state could do this. If I were him, I won't even talk. He has to answer the basic question: didn't you realise that one day you have to pay interest on borrowings? 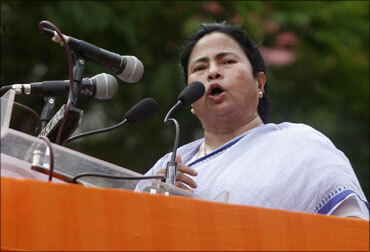 Dasgupta has also suggested that West Bengal should ask for coal royalty and cess worth Rs 5,000 crore (Rs 50 billion). Of course, we will ask about coal royalty. We will also ask for it. But we have to go through a process. The Centre will say that no state in the country gets both cess and royalty. If you take only royalty, the quantum will be less. We will always ask.